I have been appreciating this worship song in recent months. Good to see contemporary song writers writing hymns of praise like this one: singable by a congregation, it tells the story, it is focused on Jesus and the hope promised by God in him. And it is an anthem-like. I like anthems! This is the only novel I have read in over twelve months—a very sad state of affairs! I began it last year and finished it a couple of weeks ago. I have managed to listen to a number of novels however, so it hasn’t been a complete withdrawal from the world of fiction. Melvyn Bragg was labelled by The Times as a “novelist, television presenter, and arts doyen.” He has led a quite public life in the UK and was made a peer, Lord Bragg, in the 1990s. This is the first novel I have read by Bragg, though I have another on the shelf. The story-telling in this novel is quite good and the style, while neither riveting nor overly-memorable, does its duty of maintaining sufficient interest to keep the narrative moving. 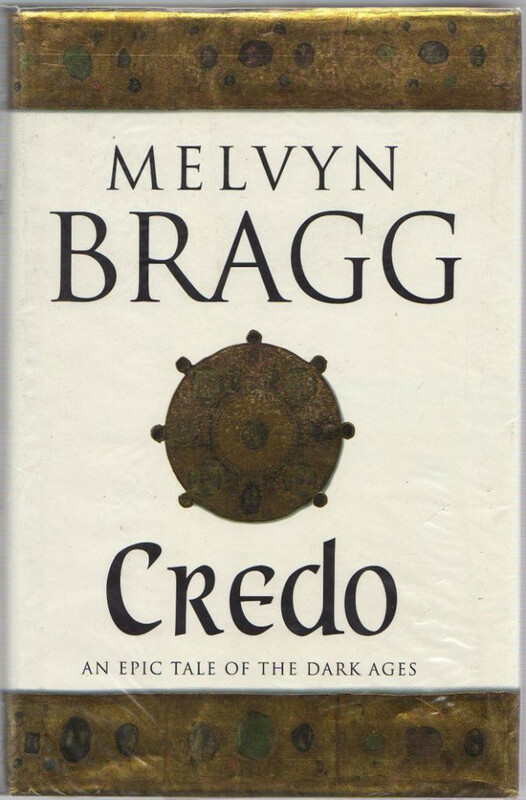 Credo is a large work, over 750 pages, telling the story of Bega, a young Irish princess who becomes a nun at Whitby Abbey in the mid-seventh century, and establishes her own convent shortly afterwards. 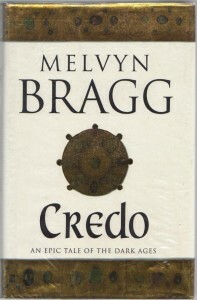 Based faintly on historical events, characters and writings, Bragg has imagined how things might have been, drawing especially on the work of Bede the Venerable, who features in the book as a child. The story follows the life and love, the faith and service, prayer and miracles, struggles and triumphs of Bega in a world dominated by political ambitions, warfare, and ecclesiastical factions (the Roman church and the Celts) striving for their own versions of Christianity. The portrayal of the faith of these early British Christians was interesting. Bragg presents them as dedicated and devout, and in their pre-scientific culture, credulous, even superstitious. Their asceticism and their focus on prayer is emphasised while the presence and influence of the Scriptures is peripheral. Bega is shown as specially marked out and gifted by God with special grace and powers, though her exceptional humility keeps her from any self-aggrandisement. The relationship between Bega the Christian leader and Reggiani a local pagan wise woman and healer is explored, with Bega often—from a modern perspective at least—appearing backward and ill-informed. Yet her faith and faithful prayer triumphs in the midst of much adversity, suffering, and self-abasement. The historical record of Bega is slight. 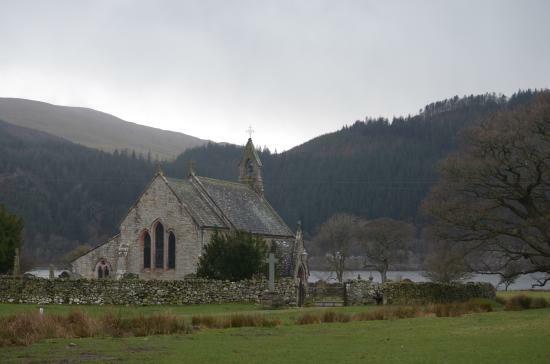 In an afterword Bragg notes that she “hovers between the historical and the mythic,” although traces of her life still exist in place names, and a tiny lakeside church by Bassenthwaite in the Lakes District named St Bega’s (752, 756f.). She is said to have inspired miracles until about 1300. I had never heard of her, although I have known of and visited the abbey at Whitby, know the story of Hild, and am aware of the important synod held there in the mid-seventh century. Bragg brings these events and their personalities to vivid life, though to what extent the portrayal is an accurate reflection of the reality, I am not sure. Reading this book has kindled a desire to read—sometime—Bede’s history of the English church, and perhaps other works of history to learn more of these faithful Celtic Christians, and the extraordinary devotion and service they appear to have shown. Thus I have found the book worth reading, and not simply for a fascinating and enjoyable story. A few different kinds of events are coming up in Perth in March. 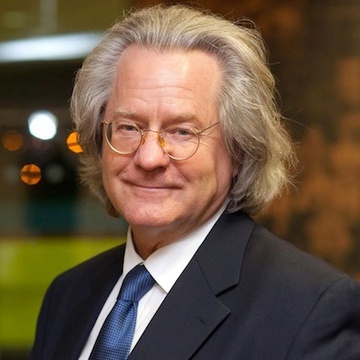 First, the British humanist-philosopher A. C. Grayling is visiting Perth (Friday March 31) to promote his new book The Age of Genius: The Seventeenth Century and the Birth of the Modern Mind. Grayling is not usually included amongst the new atheists, as far as I am aware. He does, however, write books such as The God Argument: The Case Against God and For Humanism and The Good Book: A Secular Bible. I have not read the book but it looks like an appreciative treatment of the Enlightenment in western culture in the seventeenth century. Second, the Murdoch International Theologian Programme is scheduled for March this year with Professor David Ford from Cambridge presenting a series of lectures around the theme of Religion, Violence, and a Vision for Twenty-first Century Civilization: How might our world and the societies within it be healthily plural? Click on the attached brochures below for details. Third, Ravi Zacharias Ministries are presenting an apologetics evening for youth and young adults entitled Is God Relevant? on Friday March 17. Was not our ancestor Abraham justified by works when he offered his son Isaac on the altar? With this second rhetorical question James introduces his first biblical illustration to demonstrate that faith without works is fruitless. The grammar of the sentence (ouk) indicates that a positive answer is anticipated to this question, that is, that “our ancestor Abraham” (Abraam ho pater) was indeed “justified by works” (ex ergōn edikaiōthē). That James refers to Abraham as “our father” indicates the Jewish heritage of his readers, and of the interlocutor, and calls to the evidence stand the progenitor of the whole race. If this was the case with Abraham, why would it be any different for his descendants? 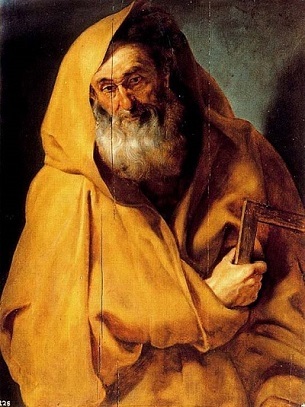 James asserts that Abraham was justified by works when or because or as “he offered his son Isaac on the altar” (anenegkas Isaak ton huion autou epi to thusiastērion). The participle anenegkas has been translated in each of the ways suggested in the various English versions of the New Testament. While the translation when may be the best (Vlachos, 96), each is possible, and perhaps in the end it makes little difference: it was because and as Abraham offered his son to God that he was justified. This, at least, seems to be James’s intent. The event to which James refers is described in Genesis 22:1-6 where God tests Abraham and Abraham obeys God’s voice. Abraham’s obedience results in the confirmation of the blessing promised by God to Abraham in Genesis 12:1-3, and the reiteration of the blessing pronounced in Genesis 15:1-6. We have already seen in the first chapter of this letter that the themes of testing, and of hearing and doing are prominent for James. It may be that these elements in the Abraham story drew him to use Genesis 22. In verse 23 James will support his contention that Abraham was justified by this act of obedience by referring back to Genesis 15:6. James does not read the text in Genesis 15 in a chronological sense as though Abraham was first justified and then later obeyed. Rather, he reads the story as a whole in which Abraham’s trust in God (Genesis 15) and his obedience to God (Genesis 22) are all of apiece. Abraham’s actions of obedience were not simply a demonstration of his faith but were the expression of his faith. Two aspects of James’s teaching in this verse are worth considering. First, Abraham’s “works” in this illustration are not those of care and compassion toward the poor, but of devotion and faithful obedience to God. This suggests, perhaps, that the works that James has in view in the entire passage are not simply works of mercy, but all those works which issue from a genuine faith in God. Second, we must consider what James means by the term “justify.” It is very easy to read James through a Pauline lens and suggest that the term is identical in both New Testament authors. Such a move is problematic since it would then mean that James and Paul stand in stark contradiction to one another with Paul arguing that “a person is justified by faith apart from works” and James arguing the opposite (cf. Romans 3:28). A number of commentators, however, note that whereas Paul uses the term to speak of the initial work whereby sinners are brought into right relationship with God on the basis of faith, James uses the term to speak of the ultimate declaration of God in the last judgement on the basis of a whole life lived. The matter, therefore, is between initial and final justification (see, e.g. Moo, 110). I will take this matter up further once the whole passage has been studied. If you are a preacher of grace, then preach a true and not a fictitious grace; if grace is true, you must bear a true and not a fictitious sin. God does not save people who are only fictitious sinners. Be a sinner and sin boldly, but believe and rejoice in Christ even more boldly, for he is victorious over sin, death, and the world. As long as we are in this world we have to sin. This life is not the dwelling place of righteousness but, as Peter says, we look for a new heaven and a new earth in which righteousness dwells (2 Peter 3:13). It is enough that by the riches of God’s glory we have come to know the Lamb that takes away the sin of the world (John 1:29). No sin will separate us from the Lamb, even though we commit fornication and murder a thousand times a day (cited in Hendrix, Martin Luther, 121-122). We must be careful to interpret Luther’s words correctly lest we suggest he intends us to go on sinning deliberately and flagrantly after conversion. 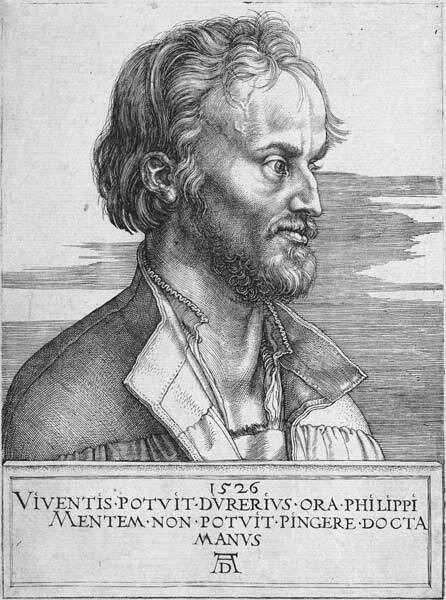 Although it is true he is pessimistic about humanity’s ability to rise above sinful behaviours, even amongst the most devout Christians, his words to Melanchthon are about his reforming activities. If Melanchthon decided to do nothing, chances are he would sin; if he decided to act, chances are he would sin. 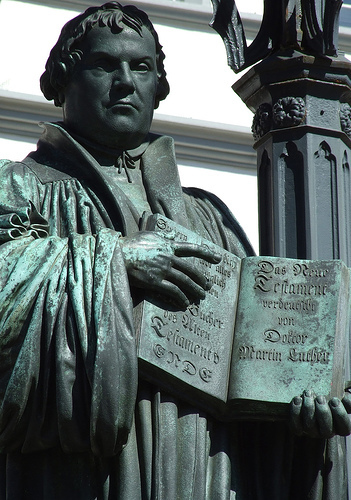 Luther was encouraging proper action even when a perfect result could not be guaranteed. Not only does this exhortation provide a useful principle in moral deliberation, it also reveals the depth of Luther’s trust in divine grace, his realistic rather than optimistic view of the human condition, and his understanding of Christian spirituality. To be a Christian is to be a sinner. If we pretend we are not sinners we cannot be saved because Christ gives his grace to sinners. A Christian is someone who acknowledges their sin, owning rather than hiding or denying it. When his protector, Elector John, died in August 1532 Luther refused to deliver a eulogy: “I will not now praise the Elector for his great virtues but let him remain a sinner like the rest of us” (in Hendrix, 236). Now join with us prodigious and hardened sinners lest you diminish Christ for us. He is not a savior of fictitious or petty sinners but of genuine ones, not only the lowly but also the big and powerful ones; indeed he is the savior of all sinners. My Staupitz consoled me this way when I was downhearted. You can be a bogus sinner and have Christ for a fictitious savior. Instead, get used to the fact that Christ is a genuine savior and that you are a real sinner (in Hendrix, 281). I find something realistic and comforting in Luther’s approach. He did not go out looking for opportunities to sin: he did not need to. And neither do I. But nor did he shrink away from the reality of his own brokenness, but trusted more heartily in Christ—and found him truly a saviour. When I am on my bike or on the train or doing some housework, I often listen to audio books. 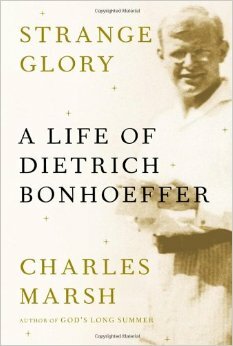 Mostly I have listened to fiction, but I recently began listening to other genres, including this wonderful biography by Charles Marsh: Strange Glory: A Life of Dietrich Bonhoeffer (New York: Knopf, 2014), 528pp. I cannot write a review of the book because listening, especially when doing something else, means I do not give the book my undivided attention. Nor can I provide page numbers or citations. Yet I thoroughly enjoyed this biography and intend some time to read the book itself. So what did I enjoy? Strange Glory was well written and beautifully read by Paul Hecht. It covered the whole life of Bonhoeffer with a great deal of detail, insight and connection. It presented Bonhoeffer as a complicated human being, brilliant and needy, a member of the privileged elite with a great concern for the common man. It was theologically rich and informed, not compromising the depth of Bonhoeffer’s thought in the telling of his story. It relied extensively on primary texts, especially the letters and journals of Bonhoeffer himself. It provided an entrée into Bonhoeffer’s personal thought and relationships, his prejudices and commitments, his loves and affections, his misgivings, self-doubts (at times) and determinations. It charted his development as a person, churchman and theologian across the course of his life. It explored his dedication to the ethical character of the Christian life without reducing Christianity to ethics. Much discussion surrounding Marsh’s book concerns the author’s portrayal of Bonhoeffer as gay, as in love with his friend, confidante and confessor Eberhard Bethge. He does not assert that the two friends had a sexual relationship, but that Bonhoeffer, at least, was in love. 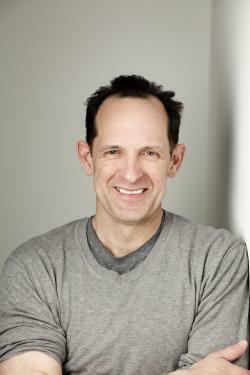 Marsh does provide many details to support his case, though whether his argument is convincing is disputed amongst reviewers. I am not sufficiently acquainted with Bonhoeffer to make a firm determination on the matter—is anyone?—but I am not wholly convinced by Marsh. In the end, the issue is peripheral and should not detract from the major aspects of his story. Far more important in my estimation, is the portrayal of Bonhoeffer as a man of great passion and compassion in addition to his penetrating intellect. Despite his elitism and eccentricities, he loved those he ministered to, struggled to find his place in the world of German Christendom, and was amongst the first to understand that the Nazi oppression of the Jews was a betrayal of the gospel. His life exemplified both the “cost of discipleship” as well as a fulsome embrace of the delights of the world and culture. One of the most interesting aspects of the story for me, and something I want and need to return to, was the way that Marsh was able to correlate Bonhoeffer’s Finkenwalde “experiment” with the theological development that occurred in the prison years. Bonhoeffer’s “religionless Christianity” constituted new growth in the field of his thought, but not disjunction with that which preceded it. Anyone interested in Bonhoeffer’s life and theology will gain much benefit from this extensively researched biography. Formal reviews of the book can be found at First Things, the Gospel Coalition, the New York Times, and the usual theological journals. Why Study the Biblical Languages? In her The Roots of the Reformation Gillian Evans devoted many pages detailing the recovery of the biblical languages by the Renaissance and Christian humanists which played a decisive role in the Reformation. Pico della Mirandola (1463-1494) claimed that Hebraei bibunt fontem, Graeci rivos, Latini paludes—“the Hebrews drank from the spring, the Greeks from a river, the Latins from a swamp” (Evans, Roots, 264). Led by the Holy Spirit, but accompanied by humanist studies, one should proceed to theology . 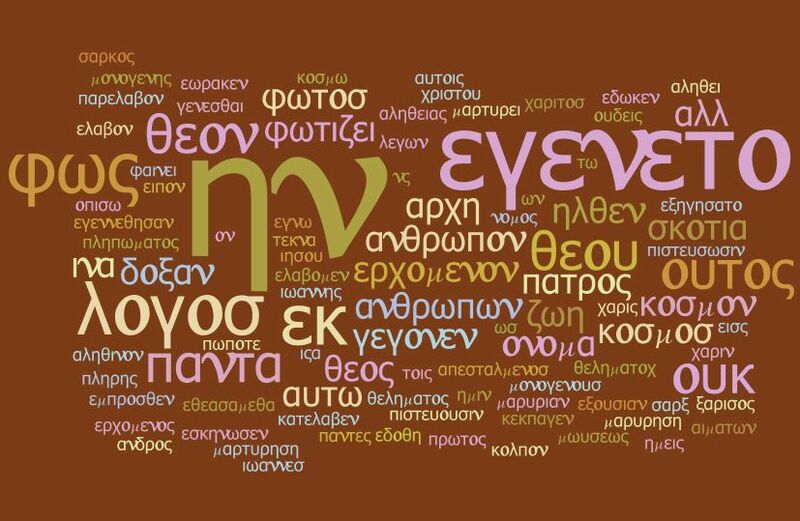 . . but since the Bible is written in part in Hebrew and in part in Greek—as Latinists we drink from the stream of both—we must learn these languages, unless we want to be “silent persons” (Evans, 264). “Do not worry that we Germans are becoming more barbarous than ever before or that our theology causes a decline in learning. Certain people are often afraid when there is nothing to fear. I am convinced that without humanist studies untainted theology cannot exist, and that has proven true. When humanist studies declined and lay prostrate, theology was also neglected and lay in ruin. There has never been a great revelation of God’s word unless God has first prepared the way by the rise and flourishing of languages and learning, as if these were the forerunners of theology as John the Baptist was for Christ” (Hendrix, Martin Luther: Visionary Reformer, 169). Do you want to be shown, you senseless person, that faith without works is barren? James continues the assault on the position of his interlocutor, this time pressing his point with a question. In verses 18-19 he countered the idea that faith and works can be separated, as though some people have faith, while others have works. The two cannot be separated: such “faith” is not faith at all, but simply knowledge about God rather than true reliance on God (see Moo, 107). This verse now serves as an introduction to a new phase in his argument: James will prove his point using Scripture, specifically, the examples of Abraham and Rahab (vv. 21-25). “Do you want to be shown…?” (Theleis de gnōnai) is the first of three rhetorical questions in this section. James also will introduce the Abraham and Rahab examples with questions (vv. 21, 25). Gnosis typically means “to know” but here has the sense of “to be shown”. “You senseless (or foolish) fellow” (ō anthrōpe kene) is direct address in the second person singular. Again, even though it is possible that James’s hearers had been exposed to a distorted form of Paul’s teaching, it is better to understand this rhetoric as directed against an imaginary debating partner: such rhetoric was commonly practised in the ancient world. James is not using harsh words against an actual person, of the kind he will shortly reprove (3:9-10; 4:11; cf. Matthew 5:22; see McKnight, 243). The adjective kene literally means “empty,” though it is used metaphorically in many places in the New Testament, including James 4:5. Here, James may be addressing his “empty-headed” opponent. Most commentators, however, suggest that the term refers not simply to intellectual but also to moral deficiency (e.g Moo, 107; Davids, 126; Vlachos, 95). This fits the context well: the person without works is not simply lacking understanding, but is out of step with the generous mercy and goodness of God. The last phrase drives home James’s point with a play on words: “that faith without works is barren?” (hoti hē pistis kōris tōv ergōn argē estin). The word for “barren” or “useless” (argē) is negatively related to the word for “works” (ergōn). It means “no-work”—that is, a faith without works does not work! It is useless, barren, unfruitful and unproductive; it will not produce the salvation and blessing for which one hopes. Going to church can be a bit of a challenge, especially for those not used to the practice. The environment is unfamiliar, as are the people, and what goes on. Even those who attend regularly can find it a challenge, for a variety of reasons. The short reflections circled around coming to Jesus, making space for him in our lives, and following him. I was challenged, however, arrested even, by these gospel texts. In the Zacchaeus story Jesus proclaims “Today salvation has come to this house.” What is this salvation of which Jesus speaks? 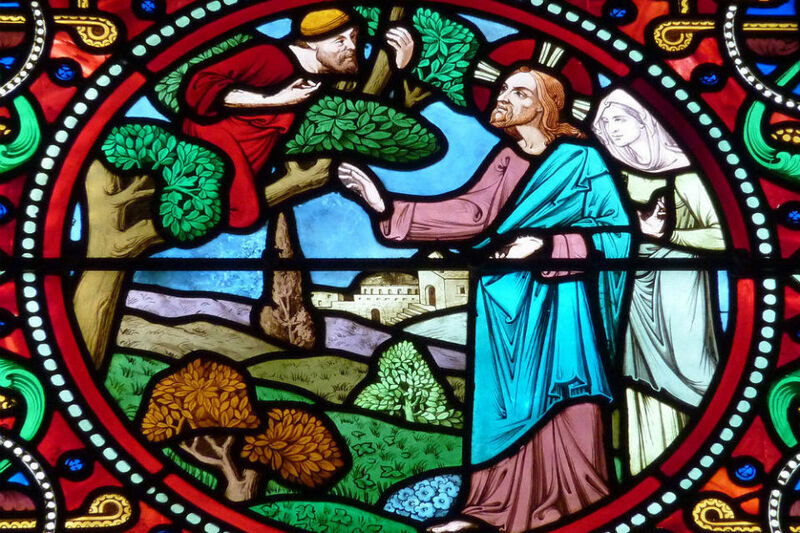 For Zacchaeus, his repentance was a concrete turning from greed to give to the poor. His turning to the poor was, for Jesus, a sign of his turning to God. So, too, the rich young ruler came to Jesus seeking eternal life. Jesus’ answer: “Go, sell your possessions and give to the poor, and you will have treasure in heaven, and come, follow me.” Again, the link between “salvation” and generosity to the poor is evident. Finally, Andrew’s reflection showed Jesus amongst the outcast (though these tax-collectors were not poor in the economic sense), the “sick”, the morally bankrupt, sharing the table, enjoying friendship, joining them and calling them to himself. Much more could and probably needs to said to answer these questions adequately. As is often the case, however, it was not so much what the preachers were saying, but what the Holy Spirit was saying through them as they opened Scripture for the congregation. The Holy Spirit was challenging me. That’s one of the main reasons I still go to church week-after-week: to gather with the people of God in a place where the Word of God is heard and the Spirit of God is active. I don’t think I would still be a Christian without this (sometimes challenging) spiritual practice. And so I went home challenged. And also grateful for the ministry of Josh, Jess and Andrew—all Vose students past or present—who serve God by serving his people. As another year at Vose is about to commence, I hope that many more students and graduates will take up the humbling call to serve God in Word and Spirit and congregation—and wherever else the Lord may call.